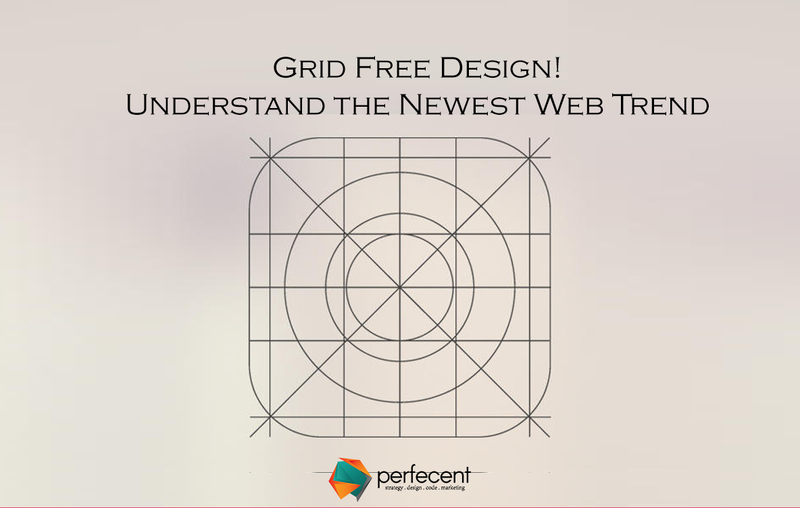 In the world of web, designing grids are like ruling bodies, they make the designing process easy and systematic. Grinds play a vital role in generating a flow of design and generate advance level immovability. The grid system is user-friendly and enhances engagement by using highlights, logos, advertisements and other elements. Although there are so many benefits of grids in web designing artists are the ones who think and work out of the box. Creativity has no boundaries so why to bound wed designing into grids? The newest trend of website designing is to work without packing your designs to grinds and many designers have produced really amazing websites by using this approach. To make you familiar with this trend of designing, this blog contains the benefits of this trend. Grids promote alignment and organization that leads to efficiency or consistency but not creativity. It limits the designer to think for new perspectives and ideas. A grid free design allows designer too hit the peak of creativity. New styles and artistic elements can be added in multiple ways in a specific design. As grid free system allows to allocate content without being a trap to some specified layouts, this makes designer focus on aesthetical appeals more them following a layout. Grind free system says goodbye to bore and static designs. It welcomes flexible, dynamic, less formal, and lively designs. The consistency and repetitive looks of several websites can be altered and the audience can have a unique and stylish presentation of content on websites. For corporate and finance company websites, the grid system is best because it looks formal and static but for fashion, interior design products and advertising agencies grid system destroy the soul of products. Whenever funky, informal and artistic products and services are to be displayed or sold via the website the designers should leave the grid system and try stylization in design by parting alignment and cooperating with abstraction. Grid-free system has the potential to become a style statement for artistic brands and products because it has its unique appeal that attracts people who love unusual and out of the box things. For people who love generalized designing grid-free system gives new chunks that they can set in design style later on. As scalability and elasticity can easily be altered and you can set your own boundaries to fix all the elements of design that`s why grid free designs look more relaxing and you can view can feel the design is not too much stuffy. For a website where a lot of text based content or a complex and heavy content to be displayed, grid system complexity the working domain and make design overcrowded. For new designers and for people who design less frequently, grid systems are hard to learn and work. Many times designers end up creating a web page which has too much uniformity that it looks more like a school project rather than a design. Starting without grids is complex but easy to start and understand the design process. Sometimes designers create amazing designs in the beginning but their style gets restricted to some specific things because of grids, that`s why grid free system is good to explore the designing field.